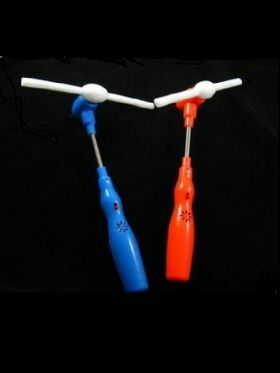 These are great fun and give out a fantastic light show around the room from their super bright LED lights ! 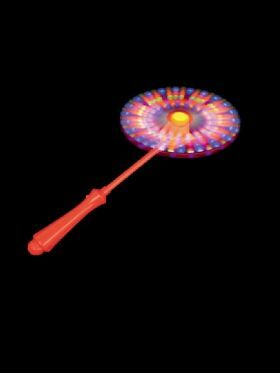 Be amazed as the wand emits a swirl of stunning multi-coloured light that will capture the interest and imagination of children of all ages.This baton has a coloured handle in Pink or Blue, approx 5" long, slim enough for smaller hands with a simple push button switch. Colours will be selected at random unless requested. Handle styles may vary. Brilliant for attracting the attention of younger children or those with special needs. Ideal stocking filler. Just turn out the lights for some fun!